The IAC Coaching Masteries® are widely recognized as the definitive standard of masterful coaching. Their beauty is in being elegantly simple while creating a mosaic of applications via their interdependence. Experienced and novice coaches around the world are turning to the Masteries as their preference for professional development and certification because they apply in all cultures and in all aspects of life and business. Coach mentors and coach training programs are also turning to the IAC Coaching Masteries® to expand their offerings and resources for their coach trainees by becoming Authorized Licensees. This creates a variety of opportunities for mentors and teachers to support coaches to move toward becoming IAC® Masteries Practitioners and IAC® Certified Coaches. It is important to note that the IAC® does not endorse, promote, or give accreditation to any coach training programs or coach mentors. This would go against our founding principle of being independent from any specific coach training program. This is critical to maintaining the validity and authority of the certification process, which is designed to meet the highest international standards. Access a list of the programs authorized to teach the IAC Coaching Masteries®. Keep reading to learn more about becoming an authorized licensee. IAC®’s Masteries Licensing program authorizes coach mentors who are IAC® members, as well as coach training organizations with a current IAC® member representative, to incorporate The IAC Coaching Masteries® into their commercial mentoring or training programs. 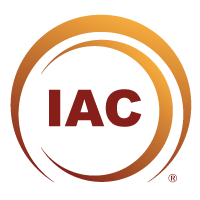 With this access to the Masteries, Licensees can assist clients or students in becoming IAC® certified, and leverage IAC®’s rigorous certification process to further promote coaching excellence and professionalism. In addition to being a member, all Authored Licensees are Masteries Practitioners and have an approved Masteries Professional Development Plan. a web page that explains what it means to be an Authorized Licensee. 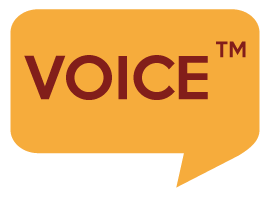 Licensees have a professional listing and link on IAC®’s web site, raising their visibility with potential clients and students. Our licensed schools and mentors are valued partners in the achievement of coaching mastery. Again, because of the necessity of the certification process remaining completely independent of the training process, the IAC® is not in a position to endorse or accredit Licensees. Under the commercial license agreement, the Licensee may include the IAC Coaching Masteries®, unaltered and with copyright notice, as part of a product and/or service (e.g., coach training program, training audio or video product, virtual study group, etc.). IAC® will provide official language translations of The IAC Coaching Masteries® upon request. If translation in a particular language is not available, Licensees must obtain permission from IAC® to create an official translation, subject to final review by IAC® before distributing.